Do You have Syndrome X? Nearly half the population in cities have a new and dangerous health condition, say doctors. BENGALURU:What you may think of as recent paunch, from frequent indulgences, may in fact be from the dangerous Syndrome X or Metabolic Syndrome. “About 60 per cent of the people in cities have Metabolic Syndrome and are clueless about it,” says Dr H V Shivaram, a chief surgeon in gastrointestinal and bariatric surgery at CMI Aster. International Diabetes Foundation describes Metabolic Syndrome as the grouping of hazardous health indicators such as high sugar-level, high blood-pressure and abdominal fat, which raises the risk of diabetes and stroke. 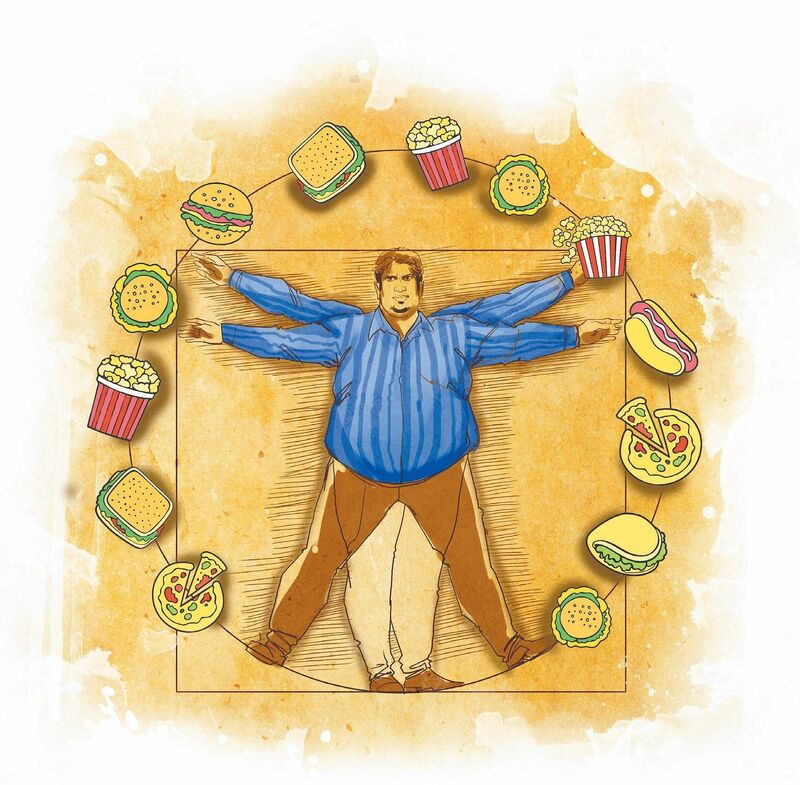 Almost all overweight or obese individuals have the Metabolic Syndrome. Frequent night shifts and sleep disturbances along with unhealthy lifestyles contribute to this condition. A 27-year-old female, working as a senior executive in an IT company, complained of continuous fatigue for over three months and sleepless nights. She had observed weight gain and had also felt a burning sensation in her hands and feet. After a thorough medical examination, she was diagnosed with Metabolic Syndrome that put her at risk for diabetes mellitus and hypertension. She was informed of the syndrome and lifestyle modifications to make. In a similar instance, a 42-year-old software engineer, whose BMI was 33, had a sedentary desk job. With parents who have a history of diabetes and early heart disease, he was more at risk. He was diagnosed with Metabolic Syndrome with high blood pressure and cholesterol. Immediately he made necessary lifestyle changes such as reducing intake of carbohydrates and fat, quitting smoking and taking a brisk walk every day for an hour. If the syndrome is not checked in time, then there is a risk of developing Type 2 diabetes and cardiovascular diseases. There is no comprehensive survey or data focusing on the syndrome. The doctors have witnessed the increase based on their experiences and reports of the annual health checkup. He alleges that awareness of the syndrome even among medical professionals is very less. “It is not taught about in medical colleges. It is a fairly new disease,” he says. “Body Mass Index for Indians should be 24. If it is between 24 and 30 then the person is overweight and if the BMI is more than 30 then the person is obese and most likely has Metabolic Syndrome,” says Dr Shivaram. Even children are at risk. “Increasing prevalence of Metabolic Syndrome has been reported in urban children and young adults, particularly in post pubertal girls,” says Dr Sujay, pathologist and technical director of the Anand Diagnostic Laboratory. “30 per cent of Indian children and adolescents exhibit symptoms of the syndrome. You should keep a watch on children above 10 years,” he adds.